Build on your expertise and challenge yourself with this Executive Master of Business Administration (EMBA) from the Australian Catholic University (ACU). Delivered in a series of intensive seminars, the course develops your understanding of how the corporate landscape has changed and your role as a leader in guiding its future. With a broad range of interdisciplinary material, you’ll be encouraged to take a holistic view of business and explore how sustainable business growth can be achieved while keeping ethical values in mind. The course explores core themes including stakeholder and customer management, complex systems and digital technologies, finance and people, culture and governance. You’ll understand how companies develop and maintain a competitive advantage and have the opportunity to put these skills into practice in the workplace. This course is offered with a flexible approach to delivery including an accelerated option, allowing you to fit your studies around your work commitments. Each unit of the course is delivered through intensive in-person seminars across two weekends led by highly experienced industry experts and specialist guest speakers. Students will have the option to attend the seminars in person or attend via the online conferencing facilities at your nearest ACU campus. If you’re ready to take the next step in your career as a leader in business, enquire now and start moving towards your goals. Why study with Australian Catholic University? 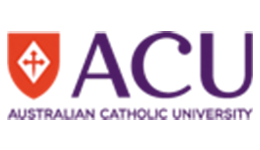 Since opening their doors in January of 1991, the Australian Catholic University (ACU) has been educating students in a range of fields; from arts and humanities to health, education, leadership, social work, theology and more. When you sign up to a course at ACU, you’re not just another number, they see each student as a whole, offering you an educational experience that’ll empower you and prepare you for success. Whether you choose to study online or at one of ACU’s many upbeat campuses, you’re sure to receive the support you need to succeed and thrive with your studies. Students of ACU can access their Academic Skills Unit, which will help build your skills around exam prep, offer study tips, writing tips and more. Access online resources, participate in workshops, ask questions via their ‘Ask an Adviser’ online services, book a consult, or simply drop-in. Their team of staff and researchers are all about offering students an education with greater purpose – empowering students to achieve goals and accomplish something great! Upon successful completion of this course you will receive a Executive Master of Business Administration (EMBA) from Australian Catholic University. This qualification is designed to build on your existing work experience with new skills that will help you progress further up the career ladder as an administrator or manager. Australian Catholic University offers a choice of specialisations in this course, your fees may vary depending on the elective units selected. Enquire now to find out more about total tuition fees. 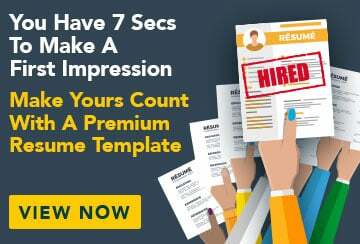 Fill out this form and a Study Consultant from Australian Catholic University will get back to you. This course is based in Queensland, Australian Capital Territory, Victoria and New South Wales. Where are you located?